Welcome to Axcient's web seeding platform! 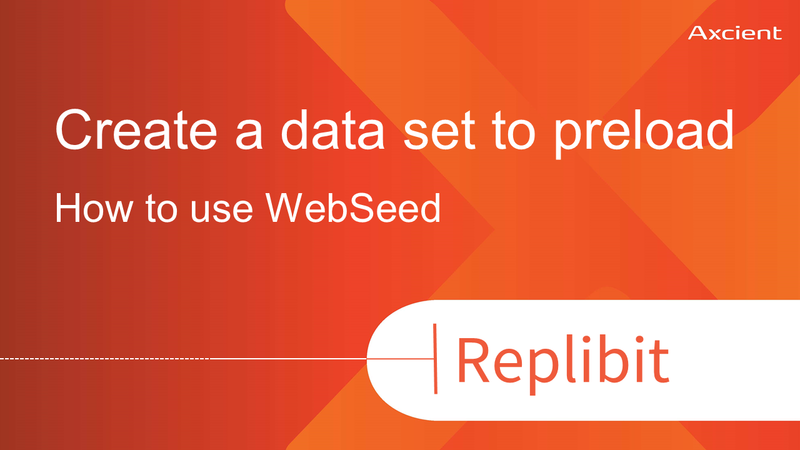 WebSeed is the most efficient way to seed your backup data to your Axcient Data Center. The home screen is composed of the Upload a file area (a and b) and the Current File Listing (c). To create a directory for your uploads, first enter the directory name into the input field (1), then hit the Create Directory button (2). The confirmation message should appear (3) and the directory should be listed in the Current File Listing area. The current directory (where your files will be uploaded) is displayed (2). When you click a "Select" link (1), this directory changes and any subsequent files will be uploaded to that newly selected directory. To upload a file, you can either click on the Upload a file (a) button and select the file(s) you want to upload or you can directly drag and drop the file(s) into the upload zone (b). NOTE: You can directly drag and drop folders, but keep in mind this feature is only supported when using Chrome 21+ and Opera 15+ versions. After the upload of a file is complete, it should appear quickly within the Current File Listing area. Chunk Combination is the process of combining the different pieces of a large file which has just been uploaded. When a large file is uploaded, it is split into multiple chunks; Chunks may be uploaded in parallel. You may pause/resume an upload when using this process. When a large file upload is done (1), an entry may appear under the Latest Combined Files (2) section of the screen, which allows you to track the background job processing your upload. When the background job is completed, the file will then appear in the Current File Listing (3). To delete a file or directory, simply hit the "Remove" (1) link besides the entry you want to delete and confirm (2). NOTE: Large files or directory removal may take some time to process. NOTE: Uploads are subject to auto expiration after a fixed delay (which defaults to 30 days.) If you need a longer file upload retention, please contact your support representative.